This weekend, my family and I went on a very long walk in Paris, it was our thanksgiving walk. We went to republic and made our way through the sights of flowers and candles by the Bataclan. It was definitely strange, and difficult to grasp (I will probably write about it towards he end of December). But the heart wrenching part of our walk was only limited in time. I discovered many streets that I had never been in before. There was a tiny café with only two tables, even though it was tiny it was inviting. 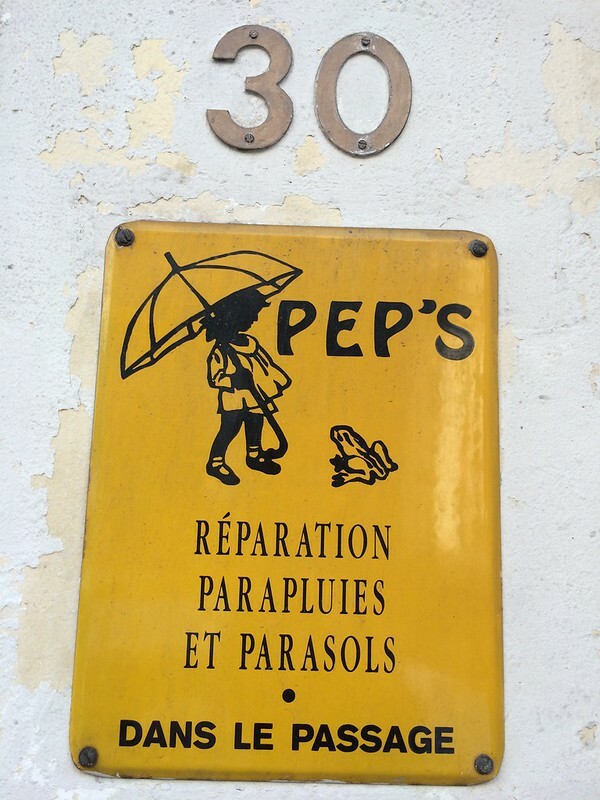 One of the things that captured my attention was a little sign advertising a repair service for umbrellas and ombrelles. What a great service in a world where umbrellas litter bins after each windy rain.